Mostafaei, M., Shamanian, M., Saatchi, A., Purmohamad, H., Amini, M., Mir, S., Shirani, A., Ezadi, J. (2009). Effect of aging temperature on structural evolution of HP-Nb heat resistant steel. International Journal of Iron & Steel Society of Iran, 6(1), 30-33. M. Mostafaei; M. Shamanian; A. Saatchi; H. Purmohamad; M. Amini; S. M. Mir; A. Shirani; J. Ezadi. "Effect of aging temperature on structural evolution of HP-Nb heat resistant steel". 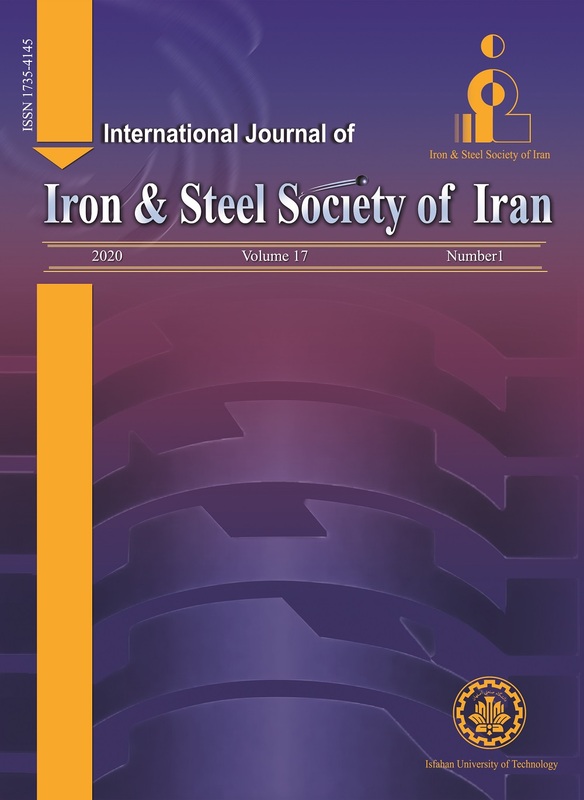 International Journal of Iron & Steel Society of Iran, 6, 1, 2009, 30-33. Mostafaei, M., Shamanian, M., Saatchi, A., Purmohamad, H., Amini, M., Mir, S., Shirani, A., Ezadi, J. (2009). 'Effect of aging temperature on structural evolution of HP-Nb heat resistant steel', International Journal of Iron & Steel Society of Iran, 6(1), pp. 30-33. Mostafaei, M., Shamanian, M., Saatchi, A., Purmohamad, H., Amini, M., Mir, S., Shirani, A., Ezadi, J. Effect of aging temperature on structural evolution of HP-Nb heat resistant steel. International Journal of Iron & Steel Society of Iran, 2009; 6(1): 30-33. In this study, the changes in microstructure of HP-Nb cast heat resistant steel after 8 years of service at high temperatures were investigated. Study of microstructure using optical microscopy (OM) and scanning electron microscopy (SEM) equipped with an energy dispersive spectrometry (EDS) showed that the microstructure of this steel in as-cast condition includes an austenitic matrix, and that continuous eutectic-type precipitates in grain boundaries. These deposits include M23C6 chromium carbide and NbC. Aged sample microstructure at intermediate temperature (700-900 °C) consists of an austenitic matrix, M23C6 chromium carbides and blocky G-phase. The reason for this microstructure is the instability of NbC during aging at medium temperature 700-1000 °C which, as a partially phase transformation, is transformed to G-phase. But in the samples aged at higher temperatures (1000-1100 °C), there are only two types of NbC and agglomerated M23C6 carbide precipitations, and the skeletal morphology of NbC carbides has become spherical.